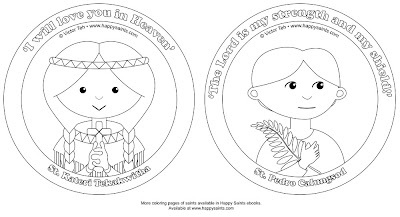 Happy Saints: Coloring Pages of St. Pedro and St. Kateri! 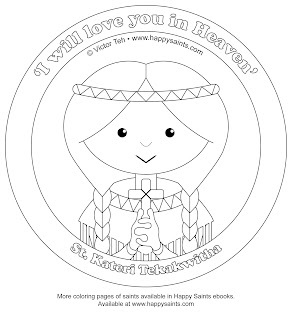 St. Pedro Calungsod and St. Kateri Tekakwitha will be canonized today by Pope Benedict XVI! 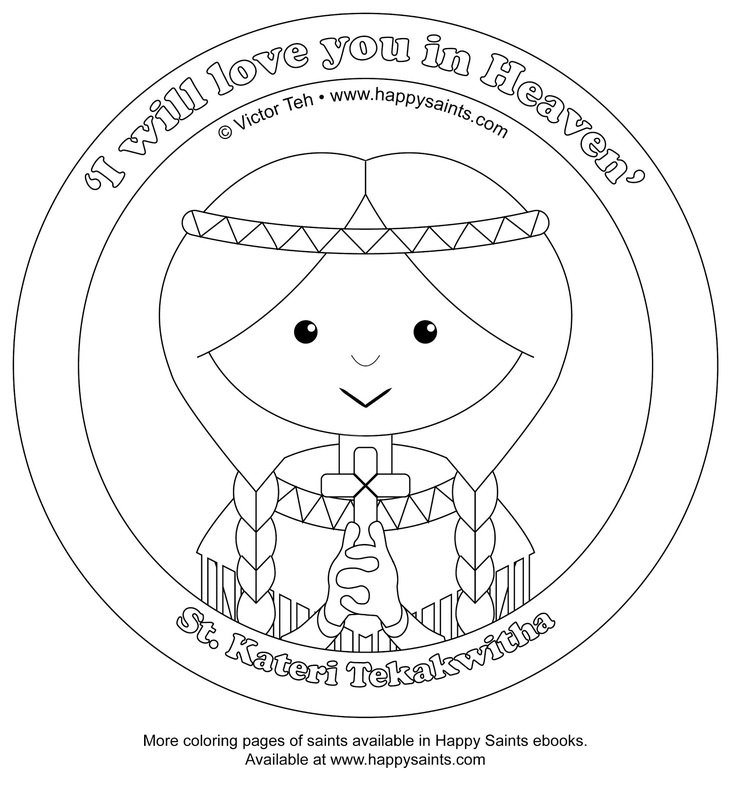 Here are two free coloring pages of our new saints! Five other new saints will also be canonized by the Holy Father today. They are St. Jacques Berthieu, St. Giovanni Battista Piamarta, St. Maria del Carmen, St. Marianne Cope and St. Anna Schaffer! Visit the Happy Saints store. 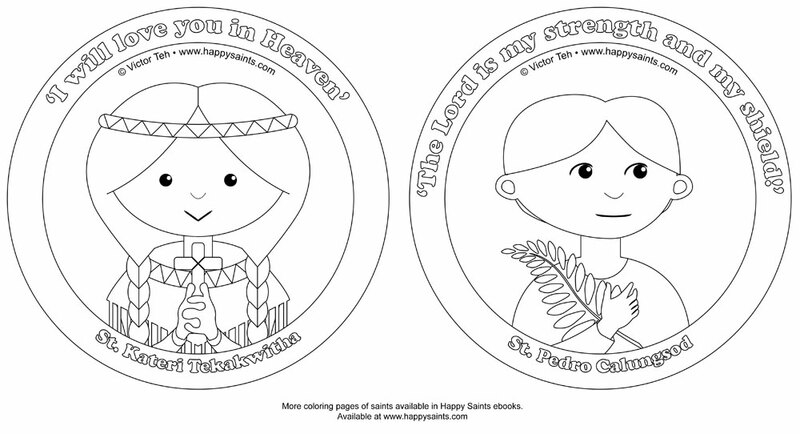 Thank you for the free coloring pages! I am so grateful to you for sharing your talent. So are my children! God Bless! PS Thanks for making the saints look so happy! It is refreshing! ¡Muchas gracias Victor! I am linking this post from Familia Católica! God bless! !